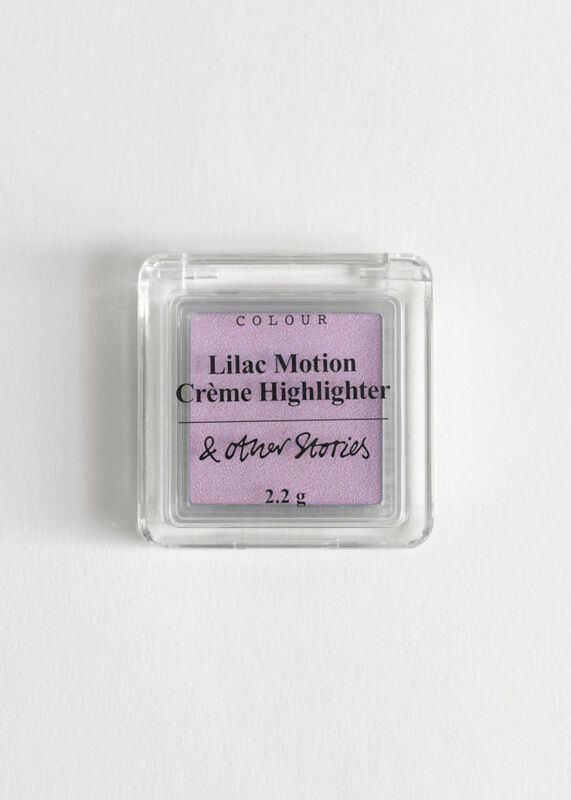 & Other Stories Lilac Motion Crème Highlighter, $15, available here. I&apos;ve been drawn to many things in the lavender/lilac color family lately, but I hadn&apos;t really found a way to satisfyingly incorporate the spring-y hue into my admittedly minimalist, no-makeup makeup routine. That is, until I was sent this cream highlighter from & Other Stories in a recent press mailing. While it&apos;s very pretty as a highlighter dabbed on the cheekbones, orbital bones or clavicle, I&apos;ve been partial to wearing the faintly iridescent pigment as an eye shadow. 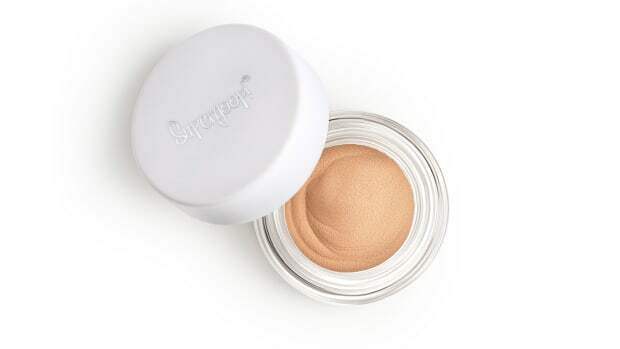 Mostly, I&apos;ve been layering it over a base of my favorite Supergoop Shimmershade, concentrating it only on the lid (and not blending it up past the crease) for a faint flash of pearlescent purple that&apos;s very subtle, in keeping with my less-is-more makeup tendencies. 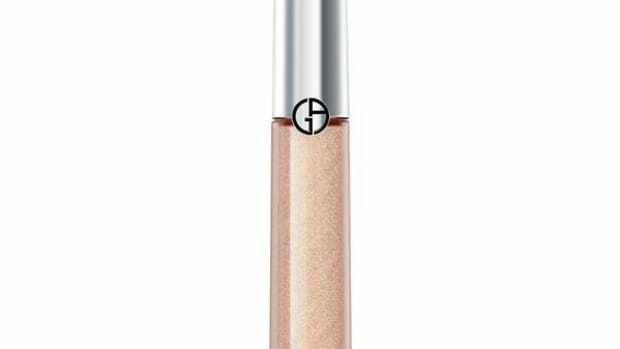 But I could also see it working well over a matte purple or blue shadow to lend a bit of gleam, if that&apos;s more your style. 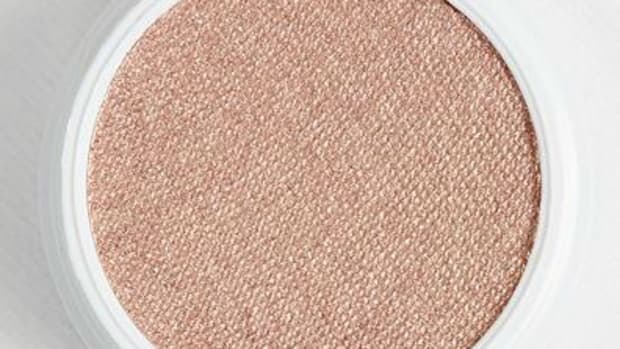 The base, a blend of beeswax spiked with shea butter, is blendable and smooth, meaning that it might not be ideal for super-oily eyelids, but it gives that great, sheen-y finish you want in a highlighter or if you&apos;re trying to emulate the glossy lid effect (though it&apos;s subtler than using a product with an actual glossy finish). I just smudge it on with my finger, and I&apos;ve found that method to be pretty foolproof — though maybe one of these days I&apos;ll get a little crazy and try to be more precise about painting it on with a brush for a more intensely pigmented effect. Maybe. 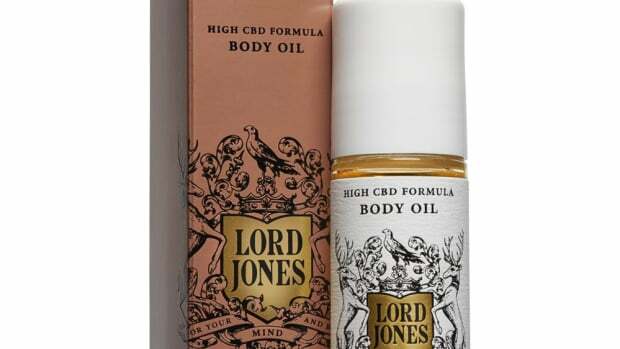 Its cushy hybrid cream-powder formula is addictive.